Give a friend or co-worker an enchanting Christmas Waterball With House this holiday. This is a great, affordable solution to holiday gift-giving that recipients will love and enjoy. 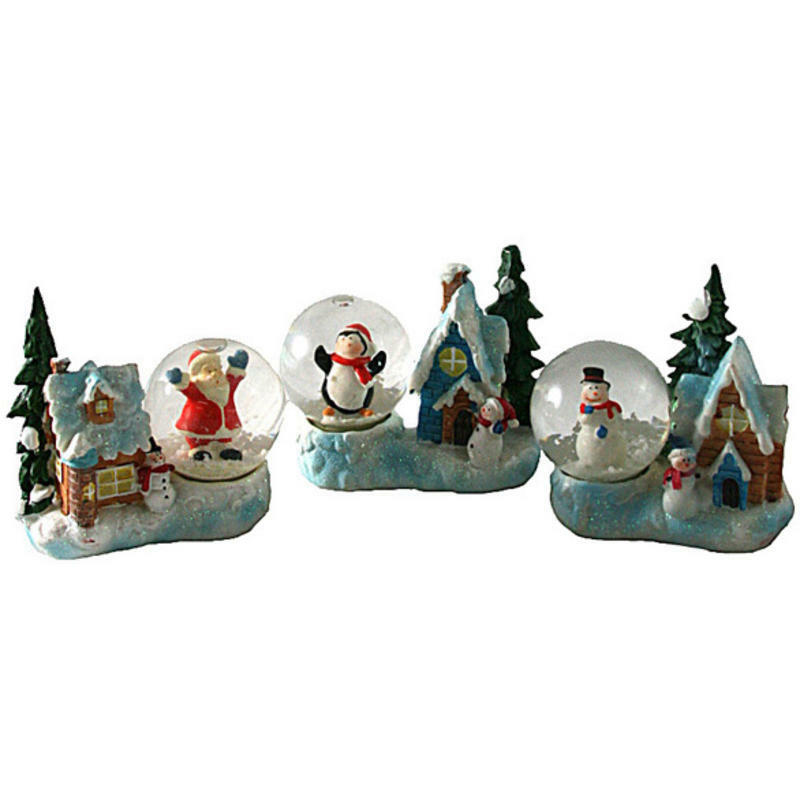 Each waterball measures approximately 6cm wide by 9cm in height and each features a distinctive holiday theme that will be familiar and recognized immediately. Choose from a friendly penguin, welcoming snowman, or everyone’s favourite elf, Santa Claus himself. As these clever characters pose and wave to passers-by, white flakes of falling snow swirl and dance past. Young and old alike enjoy watching these serene, relaxing waterballs and they truly make a sentimental gift that will remind many of holidays gone by. There is something magical about these accents and Christmas is the perfect season to group them together and put them on display in your holiday home decor. Buy one for a friend, but make sure to keep one for yourself. Try stuffing a holiday stocking with these, as well!